The purpose of planning before starting any NPI process, is to make sure product Quality, Delivery and Costs are meeting the customer needs. Design for Manufacturing will ensure quality, reduce delivery lead-time and provide a reduction in the product cost by carefully selecting the best component for your application. 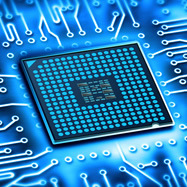 SAS general guidelines for NPI or PCB development is simply by building the right process. By choosing the Bill of material and making the right component selection. PCB development start with size and Mechanical fit, choosing the right panel size for part geometry and penalization, bigger is not always better (the larger the panel is, typically it will be more difficult to process). PCB Design – our design team have many years of PCB design especially for High Volume manufacturing products such as load boards, Sort interface probe cards, electrical validation engineering and system validation boards. One of the key learning of PCB design, is that layers of the PCB should be balanced in both layer count and across the board, all to avoid board warpage, via cracks and more.